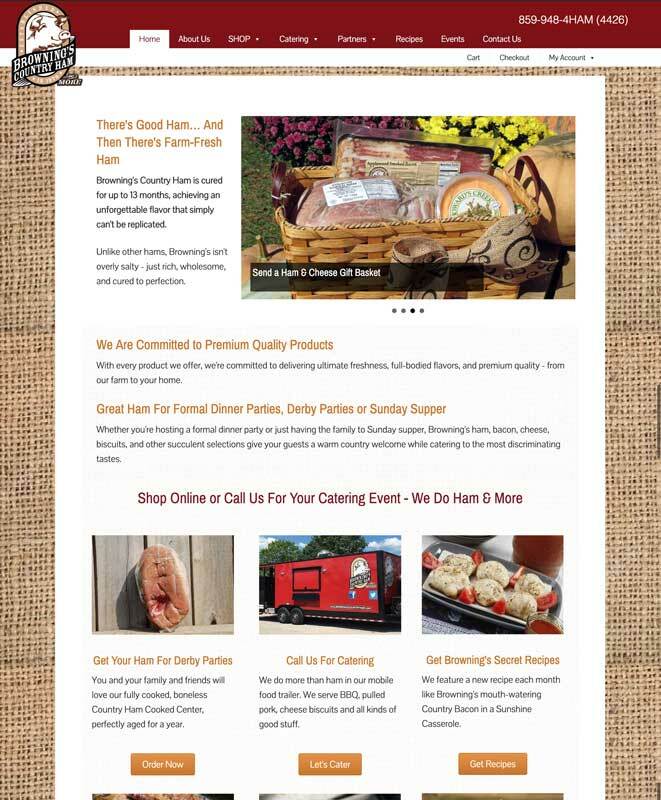 Browning’s Country Ham & More out of Dry Ridge, Kentucky, was looking to not only update the look of their website but to expand their offerings as well. The new WordPress site is up and running on a custom child theme, based on Genesis Sample theme, and leverages premium plugins for WooCommerce Square and UPS Shipping, among others. We’ve streamlined the order fulfillment process with increased automation from point of sale to shipping, saving time. David Sponcil, owner of Browning’s Ham & More, also wants to promote his Catering Services, a growing area of the business. We are focusing on new content and Search Engine Optimization (SEO) for catering, then corporate gifts, and finally, the entire site as a whole in the long run.